See our Facebook Page for the most up to date information on holiday and event hours of operation. Our season runs from Memorial Day through Labor Day. Located 1/2 mile South of the intersection at McLean Blvd & 13th Street North. 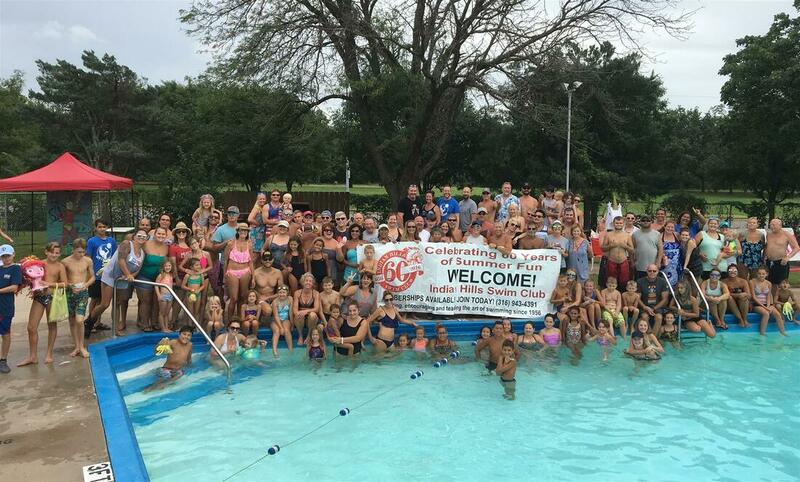 Founded in 1956, the Indian Hills Swim Club has a long-standing tradition of providing fun and recreation for the entire family. Swim Lessons are included in the cost of membership at Indian Hills. Cost to non-members is $50 per session. Members have priority for open slots. The Indian Hills Swim Team is comprised of two age divisions which compete in 4 GWSL swim meets held at various sites and the GWSL Championship held at the Wichita Swim Club. Participation is available to members at no additional cost. Non-members may participate for $90 per swimmer. Membership rates, specials, activities, and events are subject to change without notice. Other rules and policies will apply.